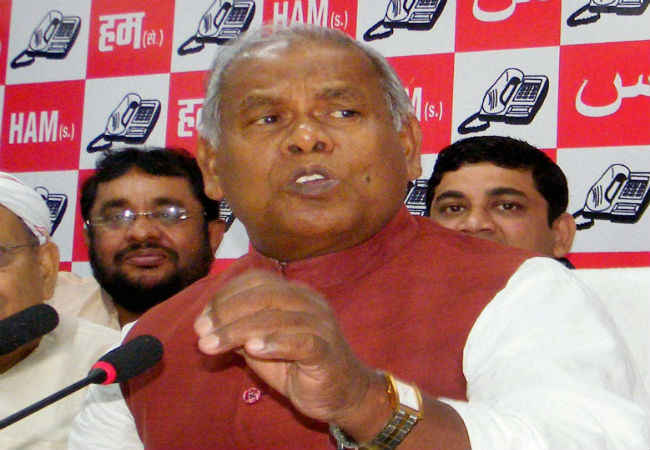 PATNA: Former Bihar chief minister Jitan Ram Manjhi has been creating new problems for the opposition Grand Alliance just every alternate day with his routine tantrums. Manjhi who returned to the Grand Alliance only last year appears to have opened parallel channels with the NDA too, his own acts suggest. In a new move, he has threatened to chart out his own course of action if his party was not given more seats than what would be allocated to Rashtriya Lok Samata Party (RLSP) during the seat-sharing deal. RLSP is led by former union minister Upendra Kushwaha. “We are not the bonded labourer of anyone which everyone should know. We want more seats than what is offered to the RLSP,” Manjhi told the media after his party’s core committee meeting on Tuesday. He threatened to “walk out” of the Grand Alliance if his party was not allocated respectable number of seats. He also warned those trying to “underrate” HAM and claimed his party enjoys more support base than Kushwaha’s. Curiously, HAM has no representation in the parliament whereas the RLSP has three members in the Lok Sabha. As of now, however, one RLSP MP has revolted against the party leadership and formed his own party. Again, HAM has lone member in the Bihar assembly in the form of Manjhi himself while Kushwaha party won two seats in the last assembly elections. It’s another matter that both his state legislators too have revolted against the party leadership and gone in the company of the NDA after Kushwaha joined the opposition alliance.